Here is an updated account of the ad&apos;s offensiveness geared to answer the questions some have raised. Depicting a black man as a boy in need of discipline raises automatic red flags. Though the word “boy” isn&apos;t used in the ad, the text, posture, physical proportions, and caption all imply it. Unfortunately and undeniably, there is a malignant American practice of degrading black males by calling them “boys.” The term implies racial inferiority and the need for discipline. The term “boy” continues to be used against black males; last week, the Fort Worth Star-Telegram reported that a local congressional candidate “offended many of his would-be constituents by referring to an African-American man as a &apos;boy,&apos; a statement for which he has refused to apologize.” While it&apos;s true, as a few people have noted, that presidents have been depicted as children before, the choice to depict an African-American adult male as a boy in need of discipline is at best utterly tasteless and at worst, outright racist. 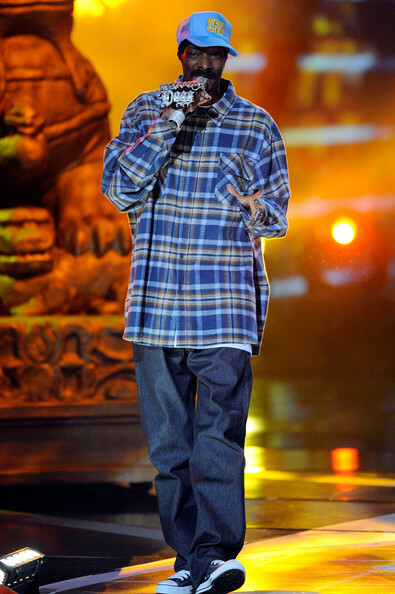 And that&apos;s before considering the clothing. By depicting Obama in hip-hop clothing, the Texas Aggie Conservatives imply race is one of the reasons he needs to be disciplined. Naturally, the ad&apos;s question – “Think he NEEDS a time out?” leads viewers to consider what about the president has led to his bad behavior. Though it may make some squeamish to admit it, the TAC did not choose to depict the president in basic, well-fitting boy&apos;s clothing, instead offering racially specific clothing as available evidence for his bad behavior. 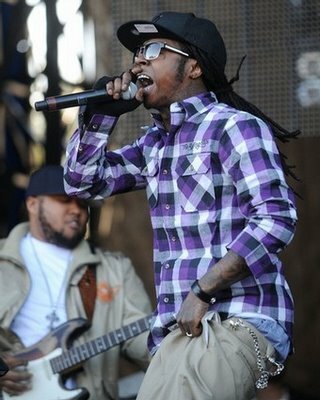 In these three pictures, high-profile black rappers sport the same combination of an un-tucked plaid shirt and baggy pants. Right-wingers have repeatedly railed against the baggy clothing in which the TAC depicts the president: Rush Limbaugh described baggy pants-wearers as “rapper clowns” and several local governments have even banned baggy pants on grounds of “indecency.” And, lest anyone forget, Geraldo Rivera of Fox News described murdered Florida teenager Trayvon Martin&apos;s clothing, also baggy and commonly worn by black rappers, as “thug wear“. If you&apos;re still not convinced this image is racist, consider its source. The Texas Aggie Conservatives sport official TAC “Beat The Hell Outta Obama” t-shirts. The club is in the midst of petitioning the university to defund A&M&apos;s Gay, Lesbian, Bisexual and Transgender Center. They are also suing the university in federal court for declining to fund TAC&apos;s big spring event: vicious right-winger Star Parker talking about her book, “Uncle Sam&apos;s Plantation: How Big Government Enslaves Americans”. In it, Parker, a black woman, endorses racial stereotypes the same way Herman Cain does. 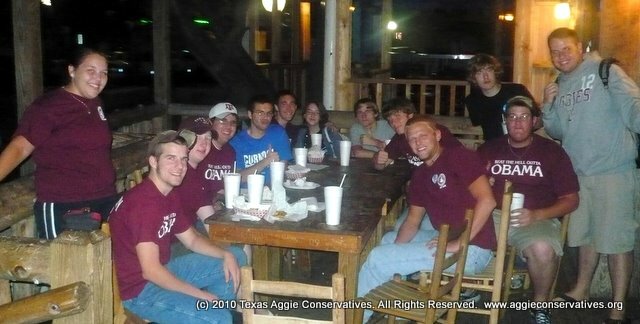 The Texas Aggie Conservatives are an undeniable source of social and racial hostility on campus – even prompting a Facebook group called, “Aggies Embarrassed by the Texas Aggie Conservatives“. Even at UT, where two straight College Republicans presidents have made national news for hateful comments, no such Facebook group exists. The Texas Aggie Conservatives have proved repeatedly that they are unworthy of receiving the benefit of doubt. If the source of the ad doesn&apos;t convince you it&apos;s racist, remember the A&M administration&apos;s reaction to it. When Vice President of Information Technology Pierce Cantrell saw the ad, he immediately pledged to take it down. When Associate Dean of Academic Affairs Sarah Bednarz was informed that the ad had not been taken down after three weeks, she wrote, “All summer thousands of current students, new students, and their parents have seen this PSA which is not consistent with Aggie values. Can it not come off ASAP? I had assumed that would be the case.” The university&apos;s rejection of the ad indicates that the ad is much more than a snarky jab at the president and wholly out of step with public values. Indeed, the administration has deemed the ad so offensive and harmful that student organizations are no longer able to post ads on campus computers. If the administration&apos;s passionate rejection of the ad doesn&apos;t convince you it&apos;s racist, you can agree that it is offensive. In Monday&apos;s story, BOR described the ad as “hateful, vile, and above all, racist.” Aside from the racial component, the ad is indeed hateful and vile in its demeaning portrayal of the president. Some have pointed out that every president is demeaned. While this is true, flat degradation is always an unproductive way to criticize a president and does not merit toleration because it makes productive public discussion harder to achieve. This is especially true for a student club claiming its aim is to “further conservative values on campus” and engage in campus political discussion. In its gratuitous distortion of the president alone, this ad deserves your rejection. Read the Texas Aggie Conservatives&apos; response to our original post below the jump.The Texas Aggie Conservatives are clearly concerned that BOR&apos;s story is doing further harm to their brand. On Monday, the Texas Aggie Conservatives&apos; Technology and Visibility Director Eric Schroeder sent the following email to BOR. I am the owner of the copyrighted image in your article, and the image in question is strictly for use and preproduction by the Texas Aggie Conservatives. I am interested to know who disclosed it to you (likely through an open records request) knowing that all material they receive is copyrighted by their respective owners and reproduction and redistribution is strictly prohibited. I respectfully request that the image be removed immediately, else I will have to pursue legal assistance in this matter. The image is already marked for deletion on imgur due to copyright violation. Thank you for your cooperation. Apparently the Texas Aggie Conservatives have as little understanding of the law as they do of politics. Any news source can publish this image under journalistic fair use laws. The Texas Aggie Conservatives have no grounds for a lawsuit, and Schroeder&apos;s email amounts to nothing more than failed intimidation. The truth is this: the Texas Aggie Conservatives made the mud they&apos;re being dragged through and deserve every moment of the slide. Next Article Your Weekly Environmental Roundup For Texas and Beyond! Yeah, the Aggie Conservatives are so racist that they invited a black woman to campus to talk about social justice and a black preacher to talk about Obama. The A&M administration is full of liberals. No surprise that they want to shut down TAC&apos;s free speech. Just because the ad portrays Obama as childish doesn&apos;t make it racist. Nice try. TAC could sue BOR which would be hilarious because BOR could then use the “loser pays” law against TAC. Oh, the irony.